Hey there! 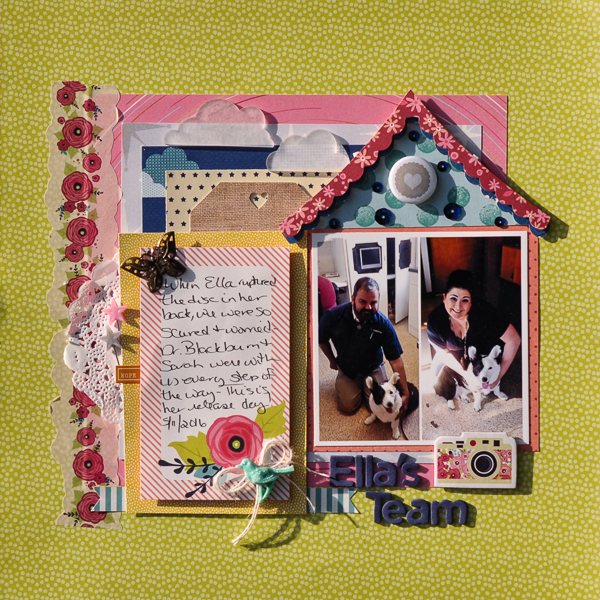 It's Katrina (that paper/hybrid scrapper girl), from Paper, Scissors and Glue on the blog today to share with you how I used one of Liz's templates on a traditional layout and resized the shapes to make them work with my photo size. Also, look at templates in different ways as you will see! Confession, I was going to do a tutorial about patterns, importing and organizing them into the Silhouette Studio software. But, I updated my software and it sent me to the cloud version! I haven't had time to play around yet, so I thought I would do something that anyone with a Silhouette (or similar) cutting machine would be able to try! 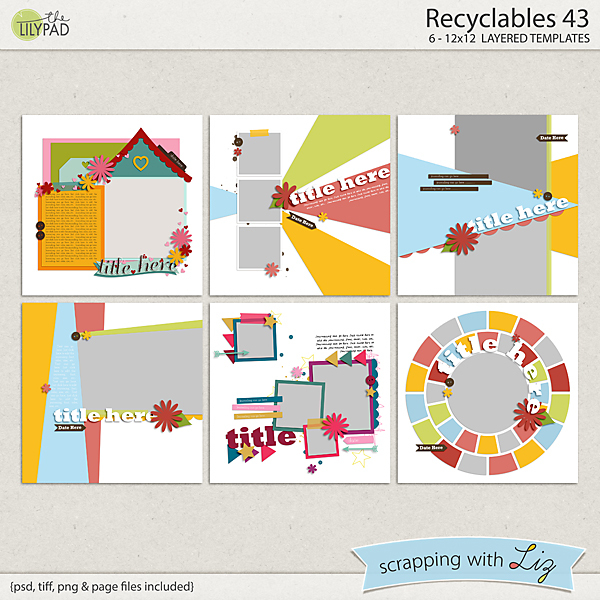 I used the Recyclables 43 template for my layout. It's a great set of templates and there are lots of possibilities with it. 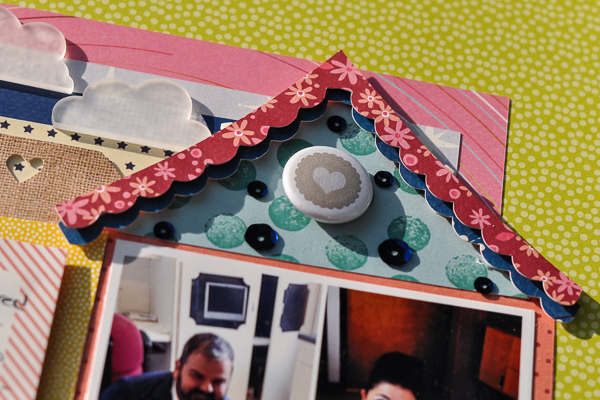 Most people see a "house" in the "Love Lives Here" template, but I saw a doghouse! And how cute would this be with a four picture collage to make it look like windows?! 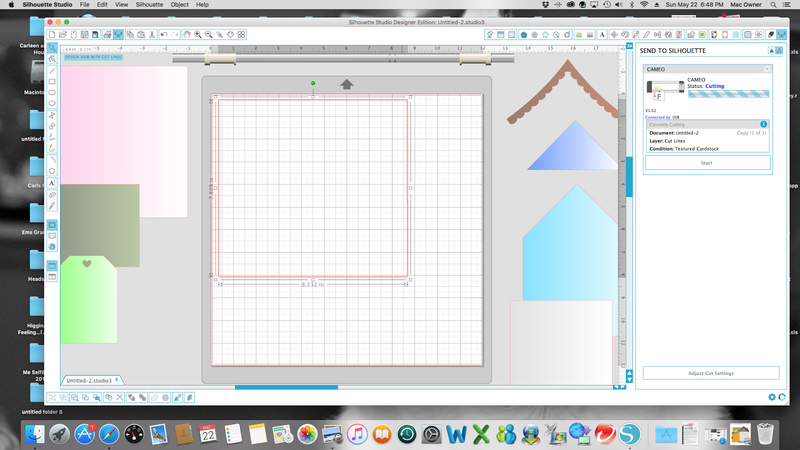 I started by opening all the PNG's that I wanted to use in my Silhouette software. Once I had them opened, I traced and then filled them with similar colors like the template and moved all of them to one mat. I closed out the PNGS once I had done this, because they seem to slow down the software if you get too many things open. Once I had them on one mat, I then arranged them according to the template. I had already printed my picture and it was smaller than the picture area (grey box). I grouped all my shapes together by selecting the arrow (aka pointer tool) and then drawing a box around all my shaped. You can see the grey box around all the shape below. Once you have the box around everything, right click and select "GROUP". 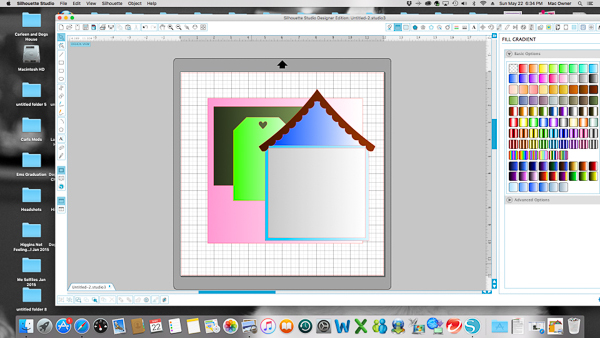 That will group everything you have selected together so you can move it around or in my case resize! 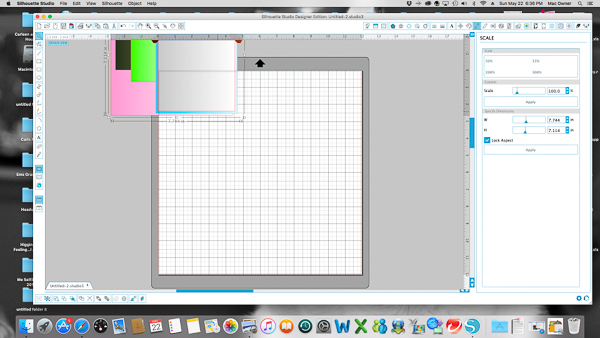 It's so easy to resize an entire template all at once! Once I had everything grouped together, I moved all the pieces up to the ruler at the top of my screen and resized until I had the picture area (grey box) approximately the size of my printed picture. This kept everything in proportion within the template. You can see my picture was around 4.25 inches, the template picture area was over 5 inches. I didn't look, because I knew I was going to shrink it! Once I resized, I right clicked and ungrouped everything so that I could cut out the pieces in different pattern papers. Yes, I could have just wrote down the measurements of the basic pieces, but I am horribly with a ruler and it was easier just to cut with my Silhouette since I already had the shapes! And make sure you have all shapes off of your mat, except the one you are wanting to cut. I have a terrible habit of forgetting that! 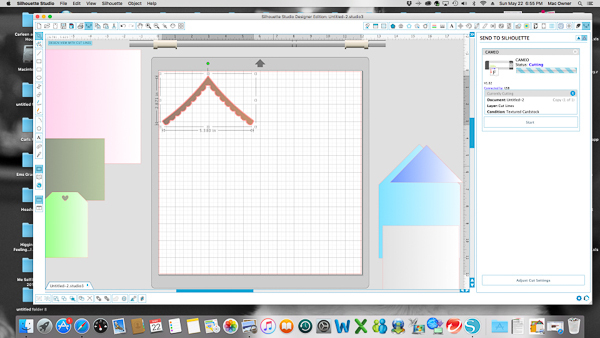 I cut the roof border twice, so that I could have a layered effect! I love how it turned out. I used foam adhesive on both layers to give it dimension and some fun. As I started putting it together, I realized that I wanted another layer for the background. I took the pink shape I had made and just created an offset for it. This way I knew it would be in proportion to the entire template. I subbed the journaling area with a journaling card from the collection I was working with. I have a ton of these and never know how to use them, but this gives me ideas now! 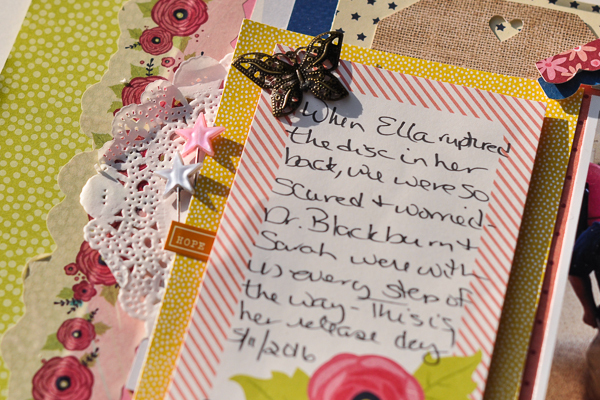 Let me know what you would like to see me do with Liz's templates or what you would like to learn. Or if there is a specific template you want me to work with. Also, would you like me to use more digital collections printed out, etc? Just leave me a comment!! This is new for me to, but so exciting and I love learning and sharing. Have a great week!